“Even though I saw the boy, I made it clear that I couldn’t get married,” she says in the Facebook post. A young woman’s story shared on the Facebook page Humans of Bombay has gone viral with almost 49,000 likes and 3,200 shares for the post, and it’s easy to see why. 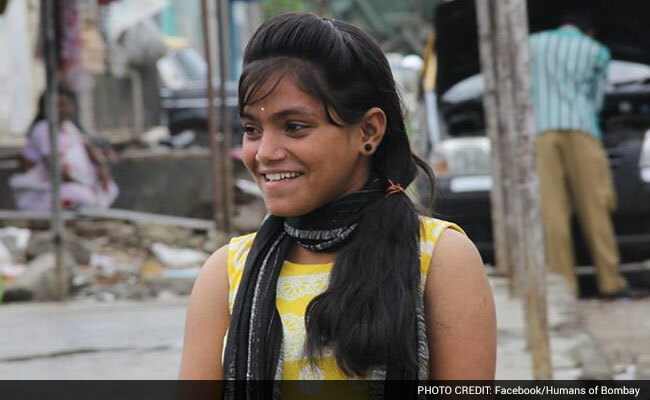 At 15, she refused to marry a groom her parents had chosen for her. “Even though I saw the boy, I made it clear that I couldn’t get married,” she says in the Facebook post. The wedding proposal eventually fell through. “My mother thought it was my fault and that I did something, but the truth is that I didn’t,” she says. She was so determined not to get married, she even threatened her parents. “To protect myself, I’d just said that I’ll run away and tell the police–and if need be I would have followed through with it,” she says. And even though her mother denounced this as “new age thinking”, she didn’t bring up the prospect of marriage again. This young woman now dreams of becoming a police officer and has resolved to do so without the support of a husband. “I won’t stop — I have a dream and I will become an IPS officer and prove to her that a girl doesn’t need a man to lift her up… infact she’s so strong that she alone, can uplift others,” she says, powerful words that will resonate with every woman across the world. What’s even more heartening to see is the impact her story has made. Among the hundreds of people who have posted comments to praise her and her spirit, many have even offered to help her achieve her goal.